The bride is escorted down the fairy tale garden wedding ceremony aisle at Four Seasons Los Angeles in Beverly Hills, California, by her mother and father, amidst flower petals in a cross hatch design. 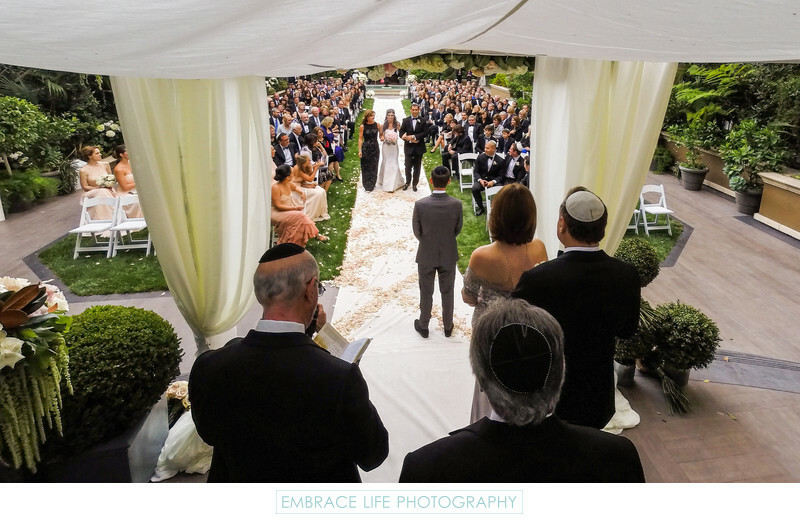 Her groom waiting patiently stands in front of the white fabric lined chuppah surrounded by plants and flowers. Location: 300 South Doheny Drive, Los Angeles, California 90048.